Most visitors to Kentucky make time for at least one bourbon distillery tour, and I can't blame them. 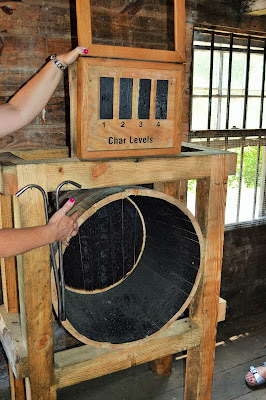 Although I still have to complete my Bourbon Trail passport, I've thoroughly enjoyed each distillery tour I've taken. In addition to learning more about the production of Kentucky's most beloved spirit, I love the fact that each distillery offers something unique, both in architecture and history. So much bourbon - but don't drink it yet! But if you're serious about bourbon, or if you want to skip some of the crowds, I'd suggest adding some of the smaller distilleries to your list, some of the ones that aren't on the official trail. I'm not saying you should skip the beautiful Spanish-inspired architecture of Four Roses, or the scenic tranquility of Maker's Mark. But why not add something different to the mix? 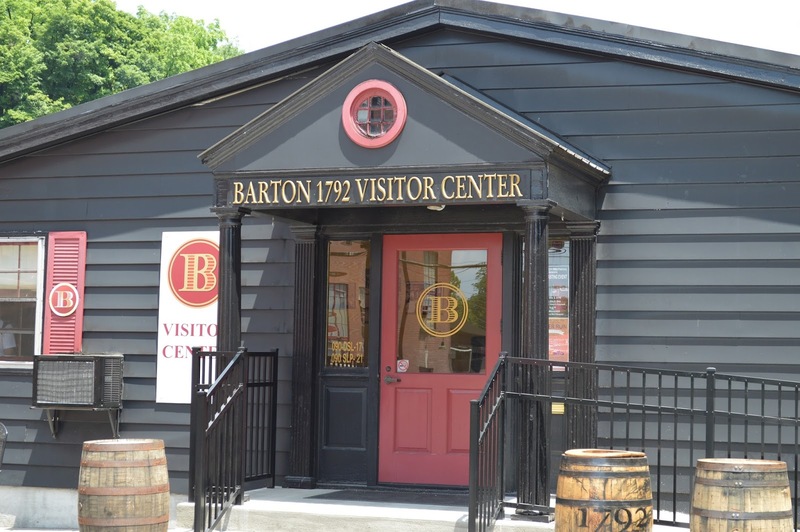 We stumbled upon Bardstown's Barton 1792 Distillery purely by accident. Just a stone's throw from downtown Bardstown, we passed it on our way to a BBQ Festival last weekend. Since there was not much happening at the BBQ fest - a quick brisket sandwich and we were done - we decided to enjoy the weather and head to a local distillery. Originally, we had planned to revisit Maker's Mark, but driving past Barton 1792 and noticing the sign for free tours, we decided to go explore. It turns out that Barton is now owned by New Orleans-based Sazerac, the same company that owns Buffalo Trace in Frankfort and Glenmore in Owensboro. Our small group (no doubt much smaller than many of the larger distilleries would attract on a Saturday afternoon) was shown around the plant. 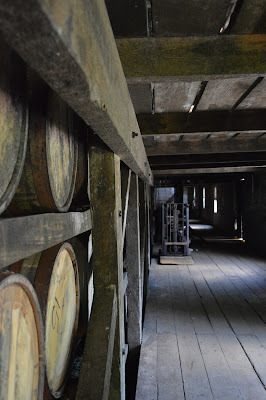 We learned about distillery mold (the reason why so many aging warehouses are now painted black), the distillation process, aging, the importance of the barrels and so on. And of course there is the final part of any bourbon tour - the tasting. Since each visitor is allowed two samples (and bourbon balls), I chose to try the 1792 Small Batch, and the Chocolate Bourbon Ball Cream Liqueur. Our guide explained what to look for in each sip - to sniff with your mouth open to get the full benefit of the aroma, to notice the flavors and the heat as you swallow. Is it burning or warming? And please - sip, don't chug. Good bourbon should be sipped, not taken as a shot. Take time to appreciate it. Charred oak barrels give bourbon its distinctive flavor. The Small Batch was smooth, with spicy hints but (thankfully) without the harsh burn of some bourbons. It left a comforting trail of warmth down my throat and chest, and, just as I thought it would fade, the warmth returned. Very nice indeed. The second of my samples mirrors a trend among many of the distilleries now - a cream liqueur. I had first come across one at Buffalo Trace several years ago, before it was released in shops. The Chocolate Bourbon Ball Cream Liqueur is currently only available from the distillery shop so I couldn't pass up the opportunity to try it. How can I describe it beyond liquid chocolate heaven? Yes, I bought a bottle, and yes, I predict a rather nice bourbon chocolate ice cream in my future.